Galapagos penguins and flightless cormorants are found nowhere else in the world and, along with the waved albatross, are arguably the most famous of the Galapagos seabirds. These species have a very restricted range meaning that they are more vulnerable to environmental changes. By monitoring the health of their populations, we can assess the health of the whole marine environment. Galapagos penguins are the most northerly occurring of all penguin species, but these charismatic birds have a more ominous claim to fame – they are the world’s rarest penguins. 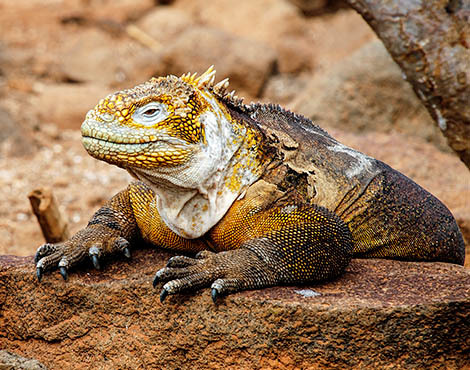 Found exclusively in the Galapagos Islands, their total population is less than 1,000 breeding pairs and they have been considered endangered for more than a decade. The flightless cormorant is a marvellous example of living evolution. They have lost the ability to fly but are wonderfully adapted to hunting in their surrounding marine environment. Until recently, flightless cormorants were also listed as endangered but have been re-categorised as vulnerable – a great sign that the populations may be about to show signs of recovery. 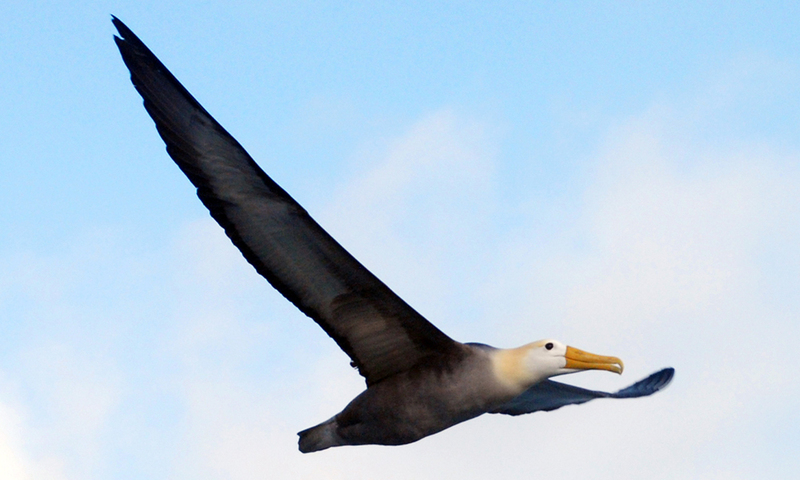 The waved albatross is the largest bird in Galapagos with a wingspan of up to two and a half metres. They have been listed as critically endangered since 2007 due to their restricted breeding range. They breed only on one island in Galapagos, Espanola, with an additional tiny population of about 20 pairs found off the coast of Ecuador. The waved albatross is best known for its complex courtship ritual. With a range of threats including predation by introduced species, avian disease, habitat loss and climate change, the management and conservation of the remaining individuals of these two species is essential. A fundamental component of any conservation management strategy is monitoring the existing population of a species. 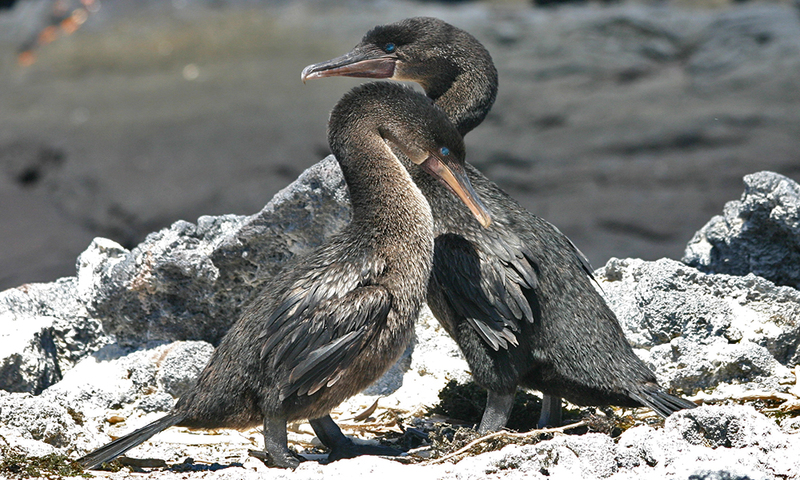 Between 2011 and 2016, the Galapagos Conservation Trust funded a monitoring and research project which has provided good insight into the current status of these seabirds. Data collected included key population demographics which are used to estimate rates of penguin survival and reproduction, and meteorological conditions to assess how the changing environment is affecting populations. Veterinary samples were also taken to assess penguin health and to test for the presence of diseases such as avian malaria. Additionally, researchers recorded the presence of introduced mammal species such as rats and cats, providing a valuable indication as to whether invasive species management strategies are working or if more needs to be done. With these data, the team are able to provide scientific advice to the Galapagos National Park Service that will help them to manage these populations. It is important that this research is undertaken as a long term study in order to provide a useful indication of population trends over time. The Galapagos penguin faces a 30% probability of extinction in the next 100 years. We urgently need to understand more about these animals and the marine environment in which they live. Please help us support this work today by giving a donation to marine projects, adopting a penguin or joining up as a GCT member. We are very grateful to The Deep aquarium in Hull for their support of this project between 2014 and 2016. The Deep is home to over 3,500 fish, including Europe’s only pair of green sawfish, as well as a colony of Gentoo penguins, and as a registered education and conservation charity, is well worth a visit. To learn more, go to thedeep.co.uk.